WASHINGTON (BLOOMBERG) – President Donald Trump wants to reach an agreement on trade with Chinese President Xi Jinping at the Group of 20 nations summit in Argentina later this month and has asked key US officials to begin drafting potential terms, according to four people familiar with the matter. The push for a possible deal with China was prompted by the President’s telephone call with Mr Xi on Thursday (Nov 1), the people said, requesting anonymity to discuss internal deliberations. Afterwards, Mr Trump described the conversation as “long and very good” and said in a tweet that their discussions on trade were “moving along nicely”. The telephone conversation on Thursday was Mr Trump and Mr Xi’s first publicly disclosed call in six months. “Those discussions are moving along nicely,” Mr Trump wrote on Twitter on Thursday. It was unclear if Mr Trump was easing up on US demands that China has resisted. The Trump administration this year has already imposed tariffs on US$250 billion (S$343.73 billion) in trade with China and is threatening to impose tariffs on all remaining imports from China, which last year were worth US$505 billion. US-China talks have made little progress since May, when Mr Trump put a stop to a deal that would see China buy more energy and agricultural goods to narrow the trade deficit. In Beijing, that was seen as an insult to Mr Xi, who sent a personal emissary to Washington for the negotiations, and cemented a view that Mr Trump’s real goal was to thwart China’s rise. In recent months, China has repeatedly questioned the US’s sincerity in trade talks, wary of agreeing to something only to have Mr Trump change his mind. While Beijing is open to striking a deal that narrows the trade deficit, officials have resisted Mr Trump’s other demands – including an end to subsidies for strategic industries, a stop to forced technology transfer and more competition for state-owned enterprises. On Thursday, the US accused a Chinese state-owned company of conspiring to steal trade secrets of US chip-maker Micron Technology Inc as part of a Justice Department crackdown against China in cases of suspected economic espionage. Fujian Jinhua Integrated Circuit Co and Taiwan’s United Microelectronics Corp were indicted along with three individuals, the Justice Department said. The US also sued to stop the companies from exporting to America any products that were created using the trade secrets. White House economic adviser Larry Kudlow said at an event in Washington that Mr Trump and Mr Xi might be able to break the logjam on issues during the summit. But Mr Kudlow cautioned that Mr Trump would “aggressively” pursue his agenda against China, if no deals were reached on intellectual property theft, cyber security and tariffs on commodities, among other issues. Mr Trump’s posture toward China has been closely watched by investors, who are looking for the possibility of tensions cooling. 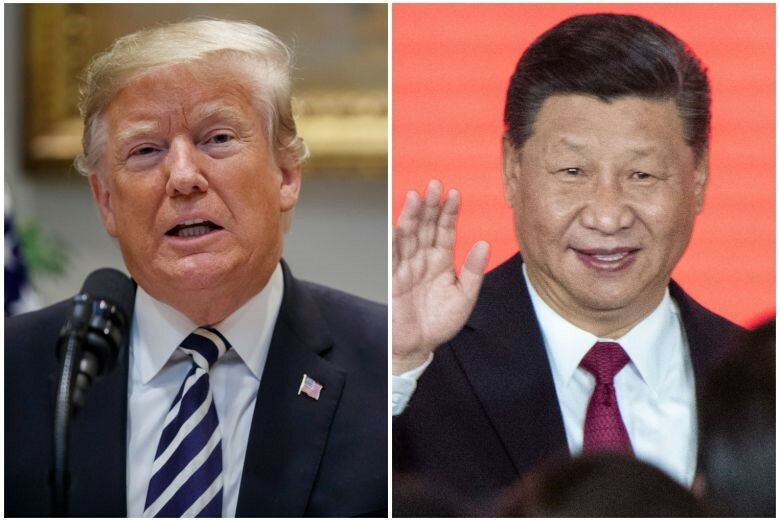 Xinhua, China’s state news agency, reported on Friday that Mr Trump had told the Chinese leader that “he looks forward to meeting Xi during the G-20 summit so they can have an in-depth discussion about some major issues”. President Donald Trump’s telephone call with Chinese President Xi Jinping prompted the push for a possible deal with China.